Circa: 1950 - 1959. 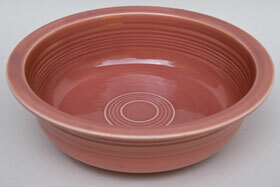 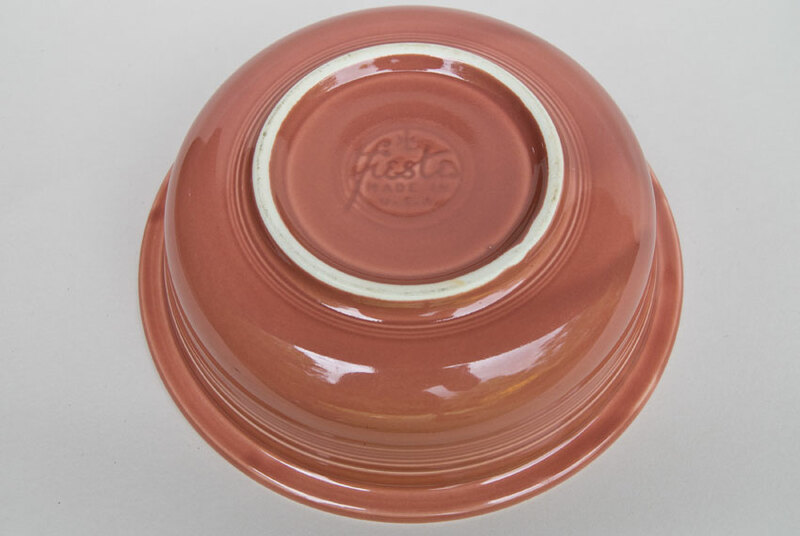 The nappy vegetable bowl is one of the most utilitarian pieces of the line and was part of the original fiestaware offerings, produced for the full 33 years that Fiesta was manufactured. 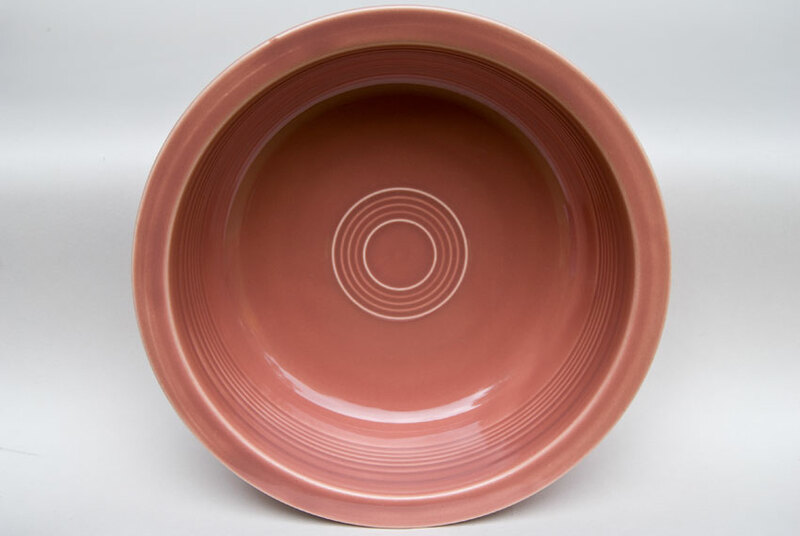 This example in the original 50s vintage rose is in excellent condition with wonderful shine and nice even application of the glaze. 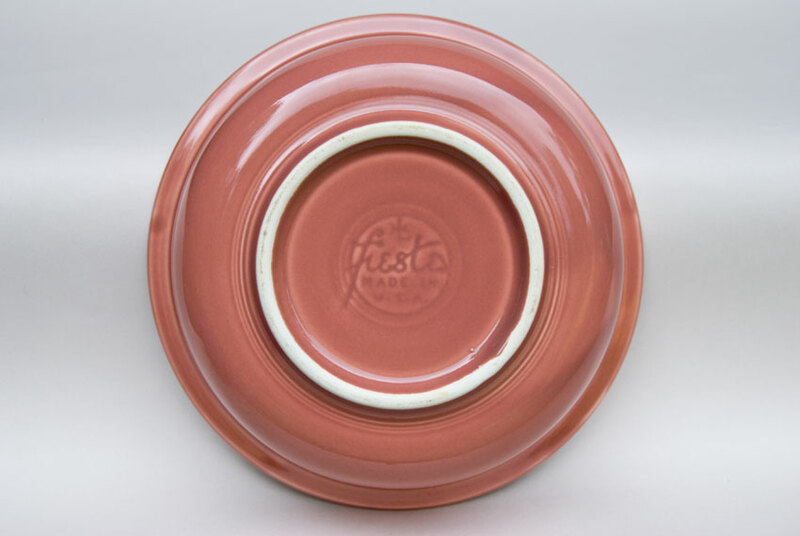 Marked in the mold "fiesta MADE IN USA", with inside bottom rings, inside top rings,outside top ring, and even a few bands of concentric rings jiggered along the bottom edge above the foot. It is this attention to detail, and fine bands of rings that brings the simple form of Fiesta to life. Starting in the 50s the nappy bowls were no longer fully glazed and set on stilt marks in the kiln, but rather their foot was wiped dry and they were sent through the kilns on shelves. 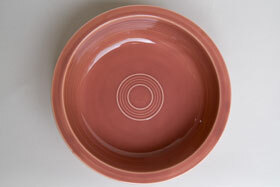 Measures 8 1/2" wide across the top.